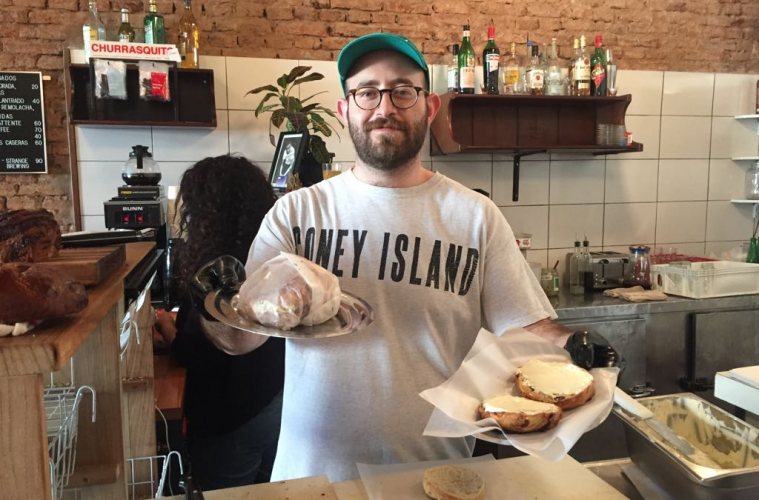 He stands behind the counter in his Coney Island tee and turquoise cap, schmearing handmade cream cheese onto my toasted cinnamon raisin halves before gently sandwiching them into their properly stacked form. 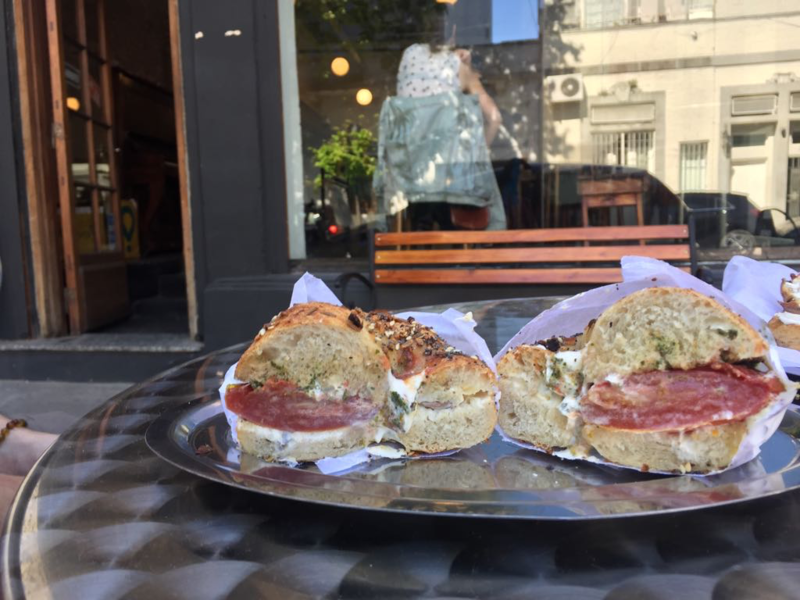 It’s a classic NYC Saturday, just a man and his bagels, but this time tucked into a corner of Buenos Aires. 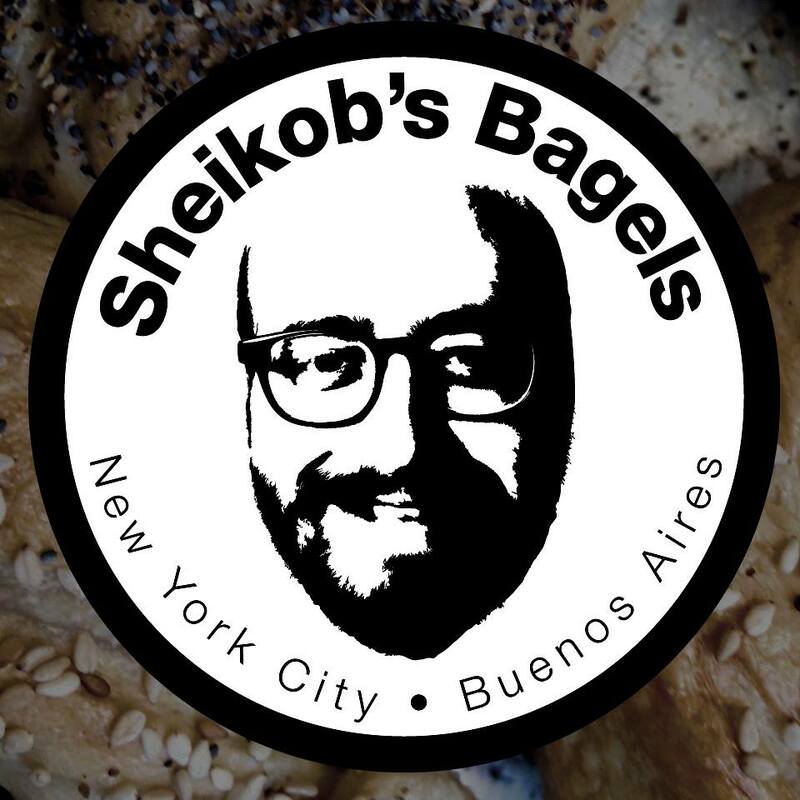 That’s Jacob, the founder and face (quite figuratively, check the logo), of Sheikob’s Bagels, a shop in Palermo where quality humans serve up quality NYC bagels. He hands over the bagel, swings around the counter, and we sit down to chat next to an old school piano near the entrance. He holds himself with ease, speaks and listens with ease. It’s clear that we’re in his space. There are unassuming wooden tables and chairs, work from local artists on the walls, and people sitting around on their unhurried afternoon. The whole space feels like a friend’s place, comfortable without trying. Exceedingly normal. Jacob begins by telling me his story, how a New Yorker studying geophysics ended up here, making bagels. I came to Argentina for the first time in 2009 on a semester abroad. I made friends. I really liked the city. I was very taken aback by the fact that on very little money you could live a pretty dignified life. Like have a nice space and eat. And the way that that allowed people to not think about their time necessarily in terms of only generating money, which coming from NY was a radical change for me and very eye opening. So what happened when you went back? Were you able to take that with you? I finished out my semester and returned to the states, finishing my undergrad and starting a PhD program in geophysics. It was a kind of path of least resistance. I never really made a conscious decision about it. I didn’t like it, so I got my masters and left. I came back to Argentina at the end of 2013, moved back into the house with the same friends, got a job doing SAT tutoring. I had a lot of free time, missed bagels. So I got on the internet, started researching how to make bagels. I made bagels. They were terrible, but they were bagels. I sold said bagels one time at my roommates’ cultural center. Went over pretty well. It was much more like that. At one point I thought, I can totally do this. So I made a facebook page, made a logo, but no one called. At that point I met an Argentine who, with his English wife, had a business called Cannoli de Palermo where they went outside of Lattente every Saturday afternoon and sold Sicilian pastries. They sold their pastries on a bike as well as wholesale to some specialty coffee shops like Lab. At one point he told me that LAB wanted bagels. I got in touch with LAB and they said, yeah we want 5 dozen bagels a week. I’d never made 5 dozen bagels ever. I had always admired what they were doing with the bike, so shortly after I got that under my belt I thought, maybe I could do that with bagels. So I did. I would make the bagels at my house, I figured out how to make cream cheese, prep Friday and Saturday, cook the bagels Sunday morning real early, get in a cab with all the stuff, go to the coffee shops to sell. Once I started that one day on the bike, everything after that was totally organic. It was just, add one more day on the bike, another day on the bike. Start selling wholesale. Add some employees. How did the idea of selling from a bike, to having a brick and mortar shop come along? For a long time I was very not interested in opening a shop. I very much liked the bike thing. I didn’t just want to be another Palermo food shop. At one point a regular customer approached me and asked if I had ever thought about opening a shop. The thing that attracted to the shop was the ability to do more. If we had the space, we could do so many more things and create our own atmosphere. So we decided to go into business together. That whole process took about a year. We opened December 2nd 2017. What’s been the biggest difference between selling on the bike and having a shop? Well we’re doing a lot more production. We’re making more of everything, but we’re also making more things. Before, outside of dried goods and salmon, we didn’t have purveyors. It was like, run to DIA and grab some stuff. We were just going with shopping carts. Another huge difference is feeling like it’s really our space. And that comes with the responsibility of caring for it. Making sure we’re providing the experience we want to provide. But that’s also a ton of fun. We play the music we want. The place works the way we want it to work. Almost every Friday night we do cultural events, Cosas a la Noche en Sheikobs. So that’s really fun because we have the space where we can do the stuff we want. 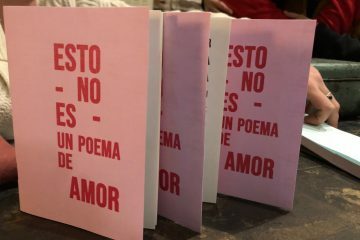 Can you tell us a little more about Cosas a La Noche? COME THROUGH- come check it out it’s dope. It’s almost every Friday night and it’s always free. You can find all the information on instagram. 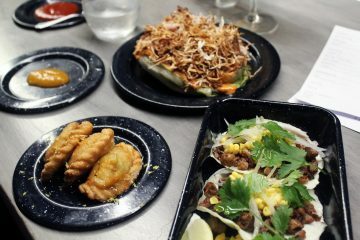 We have a repeat ciclo with Pajara the second Friday of every month. We feel super lucky because they almost never play anywhere else. How has it been fitting your space into the surrounding neighborhood? Well we have this physical spot now- I go to sweep the sidewalk in the morning and I know the guy over here and the woman across the street. Neighborhood has been preserved in this city, where you gotta go to south Brooklyn to find the same thing in NY these days. But here, neighborhood is still so strong. You mentioned that the shop has given you the opportunity to promote other dope people who are doing cool things. What are the other things are you tied with and how did you choose who and what to promote in your shop? So much of it is just having relationships. 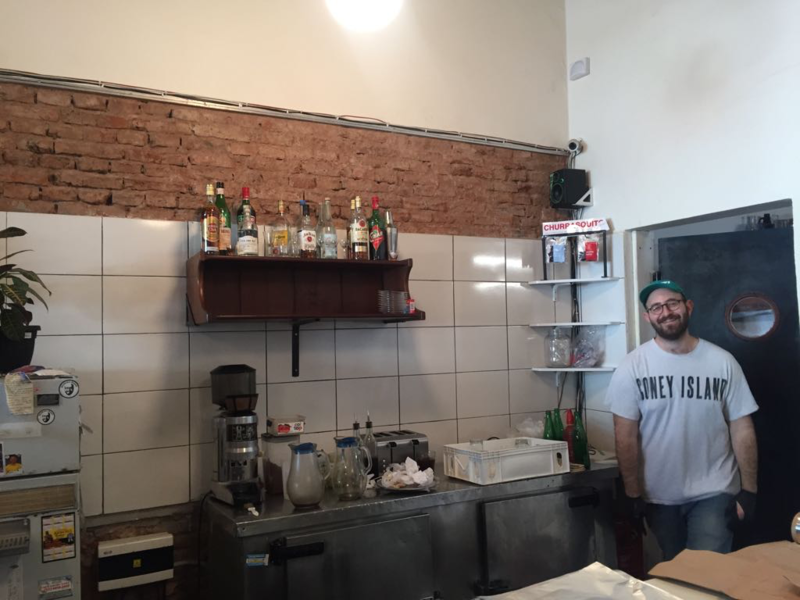 We serve coffee from Lattente, which was an obvious choice because they’ve been our day one. We’ve worked really close with them for a long time. Our beer is from Strange Brewing which was- they just had the best beer, that was it. I went to Strange when I was about to open and I thought, this is not only the best beer, this is the best beer by a mile. There’s nothing close to this in Argentina. And you meet the guys and they’re amores. Just lovely human beings. They have very similar ideas about business and relationships and community. That’s not easy to find in people, so it was just kind of obvious. We feel super lucky because it feels like an honor to have their beer. 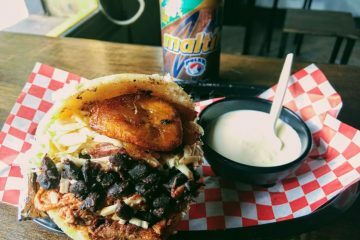 What has been the experience of trying to introduce something the like bagels into an Argentine cultural that doesn’t have it very incorporated? 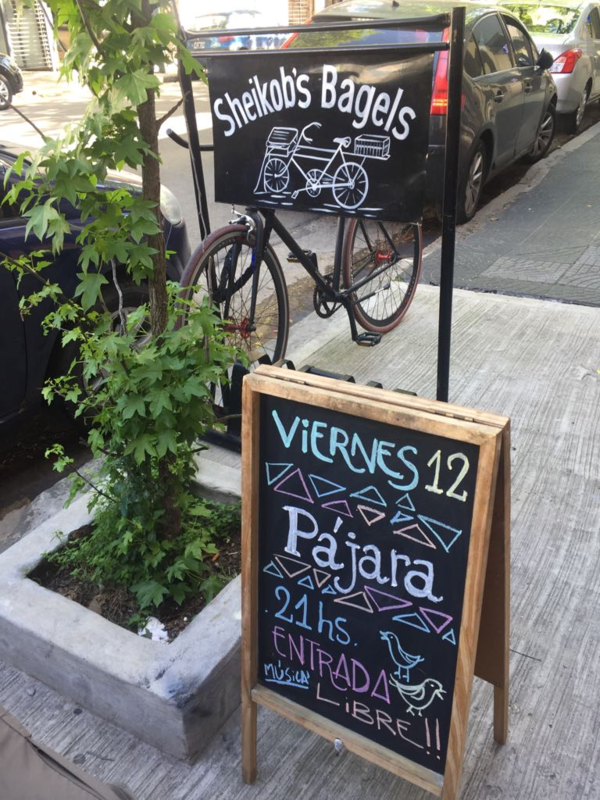 Well, I want the bagels shop to really feel like an authentic experience, but we can also have fun with the fact that we’re in Argentina and no one really knows what a bagel shop is. There are moments of struggle, but overall there are tons of people that are familiar with bagels. My tactic was always kind of, if we make something good and we’re consistent with it being good, people will come to it. And really it wasn’t that slow. When we were on the street, we would get the customers you know. Now that it’s a shop people just cruise in. It’s fun, having people come in not specifically knowing what this is. Before we put the corned beef on the menu, there were people that could not accept that there wasn’t a meat option. I would be like, “we have bacon egg and cheese” and they would be like “and that comes on a hamburger?” I’ve had people huff and puff out angry at us for not having a meat sandwich. But what’s cool is we make the corn beef ourselves. It speaks to the things that I most like about our cooking which is our slow, old school way of cooking. We make our own brine, it brines for 7 days, and cooks for 4 hours in the pot. We make our own saurkraut. We make naturally fermented real sour pickles that go on the side. We make mustard from scratch with Strange Brewing beer. It’s just a sandwich that we put a lot of thought and time and love into. Would you say there’s an overarching theme of everything you do here? 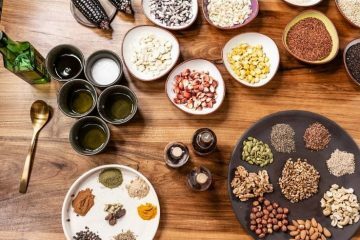 On the food level- what has driven us is the DIY attitude. That’s where we came from. This thing that you’ve never thought about doing yourself – something that in your brain you’re like “someone else does that, I buy it”- well, we could probably do it. Someone does it, so why can’t we do it? In the kitchen our guiding principle is within reason, doing everything we can from scratch. And doing it honestly. Not cheating. Doing things the right way, not necessarily the easy or fast way. 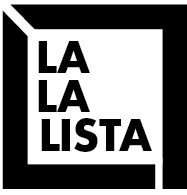 On the community level – it’s that, we want to generate our community. We want people to feel welcome and comfortable here. Bagels in the states are every man’s food. I never wanted this place to be a fancy brunch place that’s NY themed. I wanted it to really be like a bagel shop in that it’s a normal place. You can just go, get your food, it’s comfortable. You eat. No frills. So that. Generating a comfortable space, being friendly to everyone. In terms of our internal dynamic, I want everyone to feel like they have dignified work. We just want people to be happy. Ugh that sounds so dumb. I hate myself for saying that, but it’s true. We’re just trying to be good happy people. What are the best aspects of NY and BA that you’ve brought together? 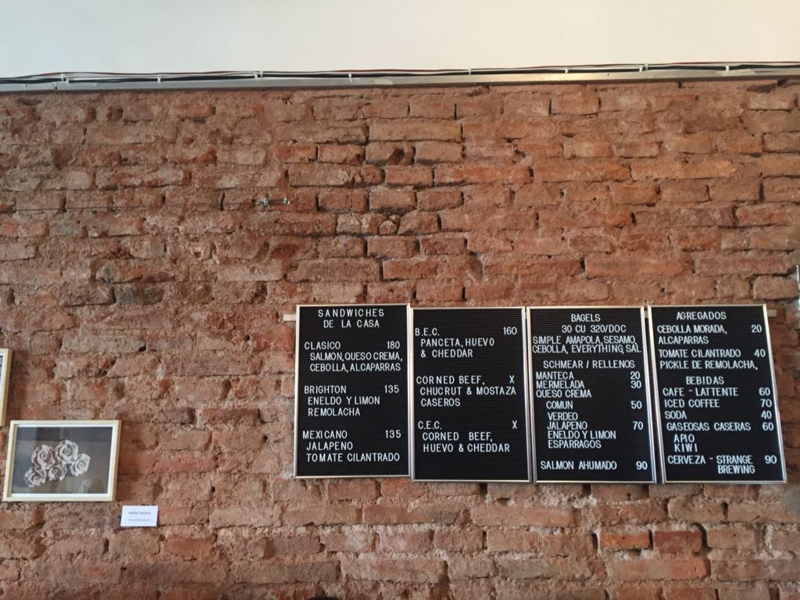 I saw a lot of overlap as soon as I got here between NY diner shop culture and the café/bar of Buenos Aires. In terms of atmosphere that’s what we were going for. Really beating a dead horse is that it comes back to the feeling of community. The thing about those place is that you’ve got them in every neighborhood, all almost exactly the same. The thing that makes it is the owner has a relationship with his clients. The thing is you can walk into any single one and you just feel like you’re home. It’s comfortable, you know exactly what’s on the menu. That overlap was the thing that drew me to what we wanted this space to be like. We wanted it to feel like a normal place. And then it’s fun because we can say, what would a normal place be like if it were run by a 30-year-old from NY and his friends and coworkers instead of a 60-year-old Argentine? Different art and different music. The goal is to insert our personality and vibe in a way that’s not in your face. We want the place to feel normal, but with little touches. Like, oh damn there’s rap music and a piano. You mentioned community a number of times. Back when you were only on the bike, the community was still so present despite the lack of physical space. What has been your experience with translating the community to this space? If anything it feels like it’s grown. Totally. It’s grown and also just by a function of being open more hours, I’m around more. Which means I know the people who come in on weekdays, who are the people who come every Saturday, and their order. 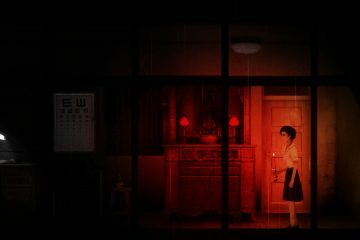 The thing that has been a pleasant surprise, though it’s not so much of a surprise, is that it has translated as well as we could have hoped. Pretty much every event we’ve done has been with friends. People we know who are clients. We’re clients of them. People in the neighborhood. So to be able to provide a space for people to do their thing has always added a really fun part of the community aspect. That’s really what we’re shooting for with the Friday nights.Promoting the other dope people in our community that do other cool things. 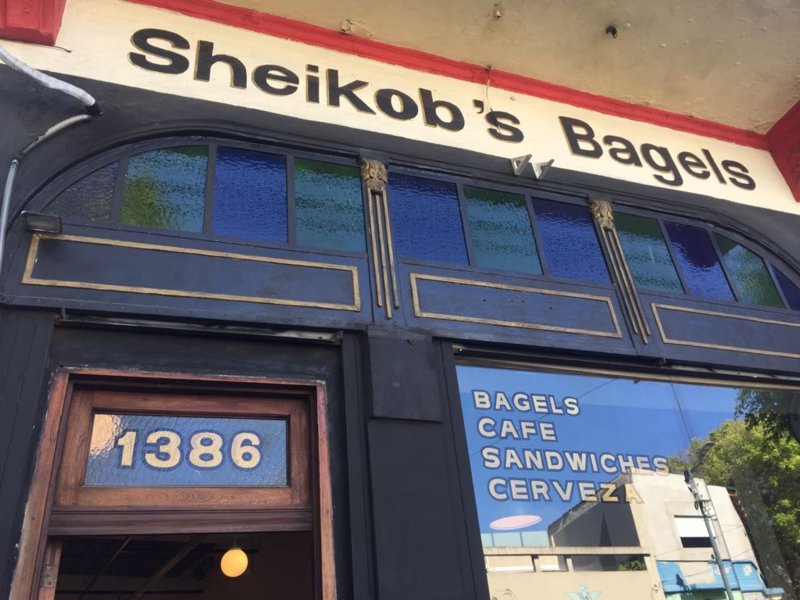 If you’re interested meeting some of those dope people doing cool things, you can find Jacob and his bagels at Sheikob’s at Uriarte 1386. You can also scope his instagram @sheikobsbagels for some life-altering bagel photoshop. Simone is a former New Yorkian who currently spends most of her time riding broken ecobicis, thinking about English grammar, and marveling at the beauty of Buenos Aires keys.